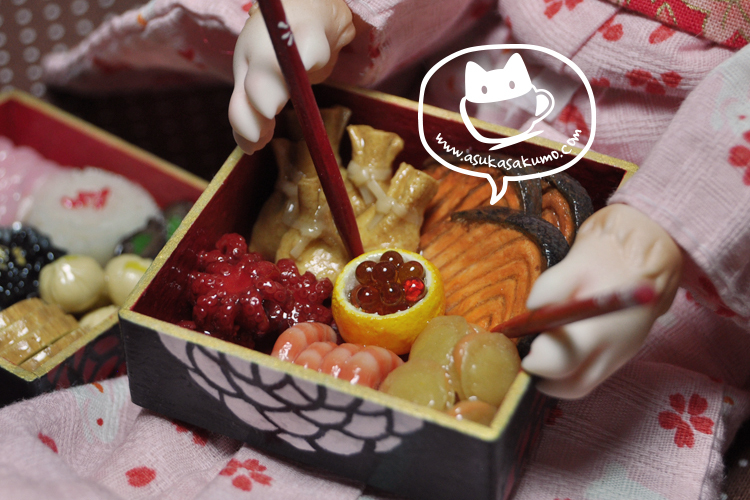 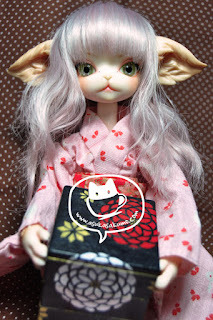 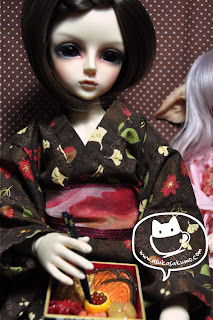 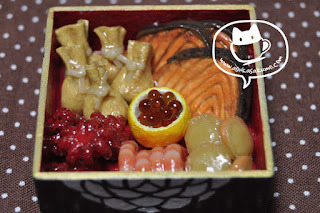 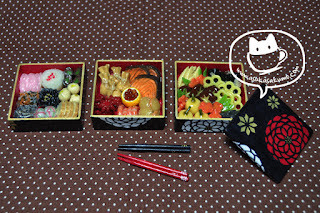 Asuka Sakumo Blog: Scale 1:4 Osechi Finished! 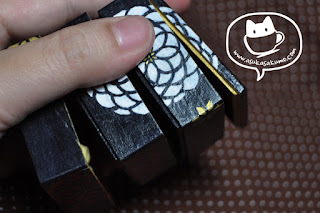 If you read my previous post (about half a year ago), you might notice that the box above and the one before are different. 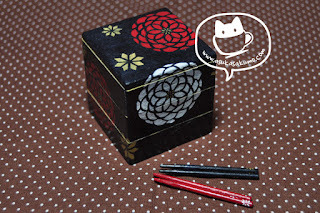 Yep, I made another box. 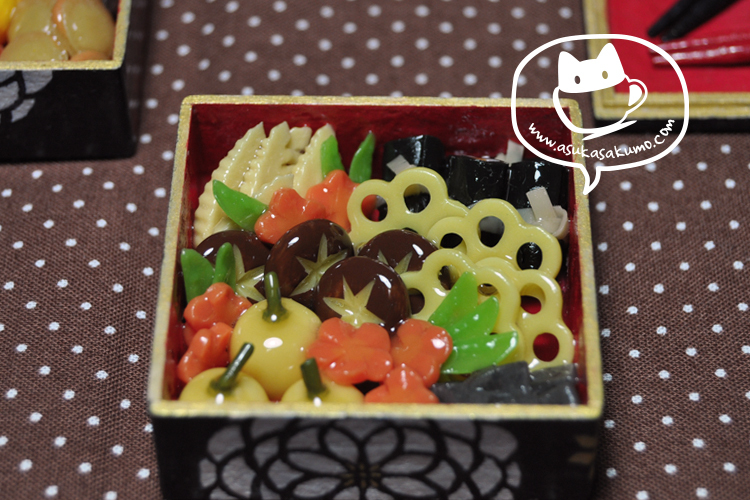 Midway of doing the filling for this osechi box, I feel that the box would be too large. 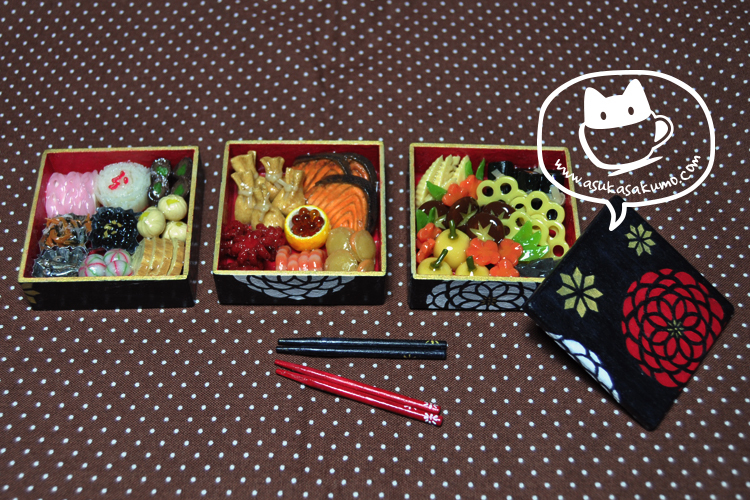 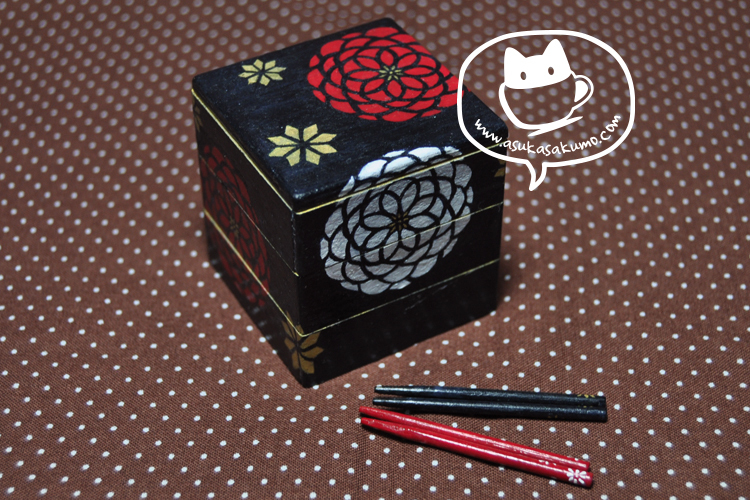 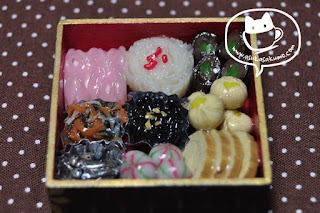 Then I decided to make another smaller box, and leave the old one for a 1:3 scale osechi. 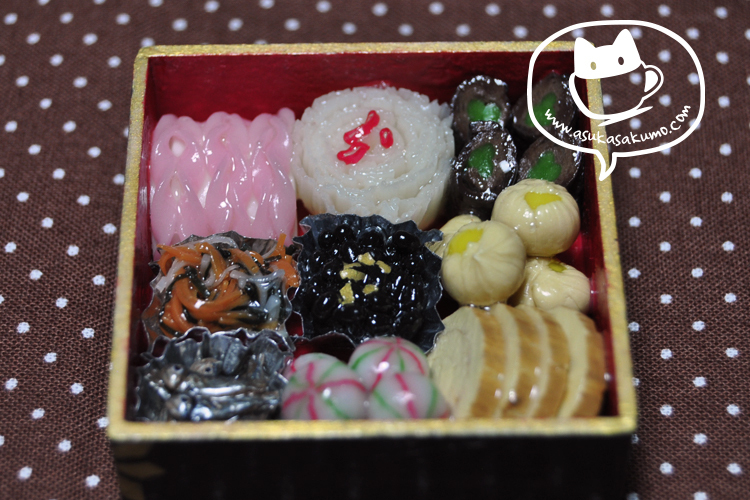 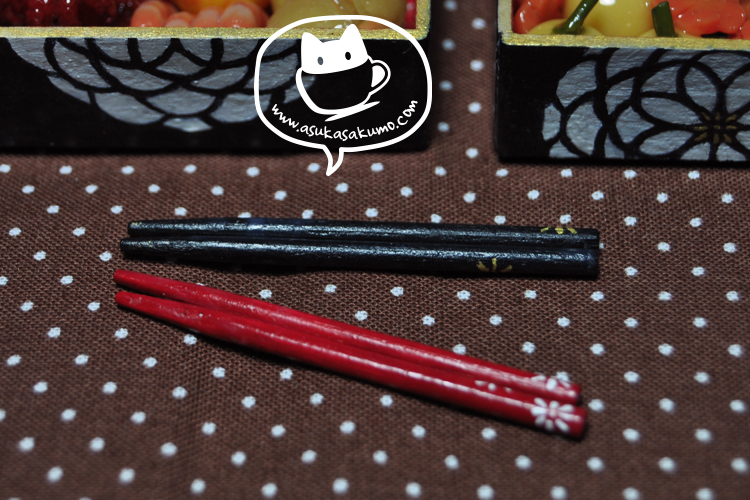 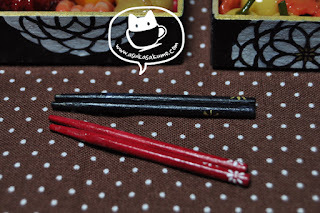 I've also made a 1:12 osechi and 1:24 osechi before. 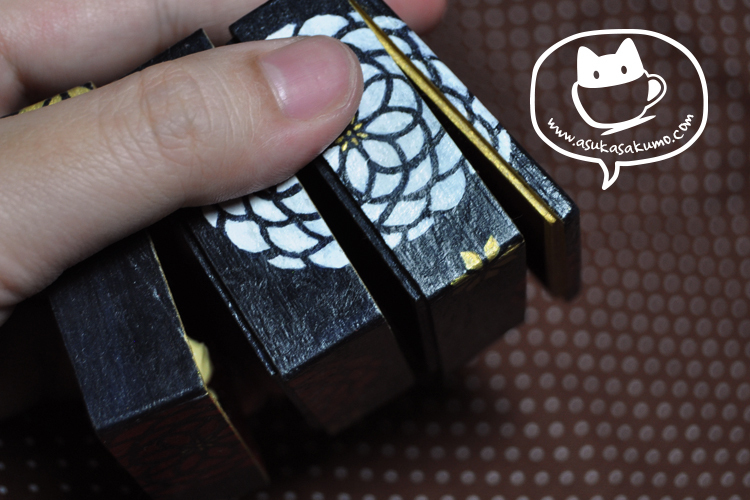 it's like a puzzle box!